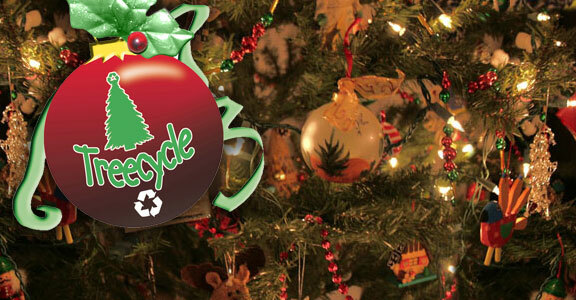 Once again, residents can recycle their Christmas trees through the City of Tucson’s TreeCycle Program. The program begins on Wednesday, December 26, 2018 and continues through Monday, January 14, 2019. TreeCycle sites are located throughout Tucson and Oro Valley (see list of TreeCycle sites below). Your Christmas tree is a sustainable resource. Remove everything from the tree, including the stand, before dropping off at the TreeCycle sites. They cannot mulch stands, ornaments, wire, tinsel, etc. Also remember to Tree Pool and bring your neighbor’s tree — fewer trips means cleaner air. The City of Tucson will grind Christmas trees and will have chips available to the public at the Los Reales Landfill after January 2, 2019. Bring your own container and take home free wood chips for your garden. IMPORTANT: The City of Tucson will not collect Christmas trees from curbs and alleys. Other green waste cannot be accepted at TreeCycle. Commercial tree lot overages are not accepted at TreeCycle sites, except for Los Reales Landfill at posted landfill rates.